Potato Paneer Peas Pulav is different and tasty variety rice. I tried this when I saw on TV, but its not exactly the same. I have made few changes. This is a rich rice with butter, oil and paneer. Good for kids. Ginger Garlic - 1 tspn chopped or you can grind with coconut. Heat a kadai, add butter and saute paneer slightly brown and keep aside. Heat pressure cooker, add ghee, oil, cashews and spices. saute for 2 mins. Now add onions and little salt, ginger, garlic, green chilli saute till brown. Then add tomato and saute. Add the coconut paste and mix. Keep in low flame. Add chopped potato and peas. Add little water and let it boil. In a kadai, add little butter or ghee saute the basmati rice till you get good aroma. Mix the rice with the rest of the ingredients in pressure cooker. Add water about 5cups or if you want it soft 1 cup more. Add turmeric powder, red chilli powder, salt and mix well. Check for salt. Add sauteed paneer. Close the lid and pressure cook for 3 whistles. Off the stove and mix well. Potato Paneer Peas Pulav is ready to serve. You can serve with any Raitha or Paneer gravy. 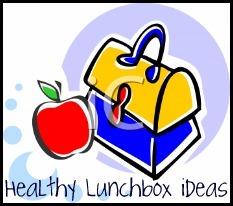 This recipe is going for Healthy Lunchbox Ideas by Kalyani hosted by Jayashree. Kids are sure to enjoy this... simply yummy.. yumm..I had the same plan last weekend, but unfortunately I burnt the paneer (accident:( )and so the plan was ditched! !I am going to try it out again soon! This sounds wonderful, looks delicious. I love the simple recipe for it! This is my first visit here...you had a nice space...appreciate ur work!! I love rice dishes with paneer. This looks absolutely delicious. Thank you friends for your lovely comments.